You are in good company if you are enamored by Kim Kardashian, the most popular socialite and a model and actress from America. Millions of women admire her for her bold and sensuous dresses and try to follow her by copying her dresses and accessories. 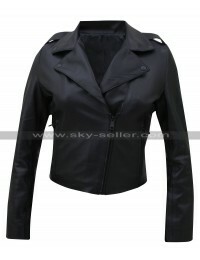 This is a beautiful black leather jacket inspired by the outfit that Kim sported recently at a function. 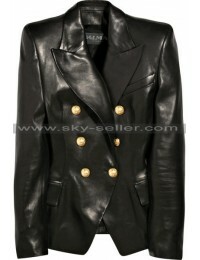 It is a replica of the jacket created by famous designer Valentino. Buy this jacket to look and feel like your favorite celebrity. 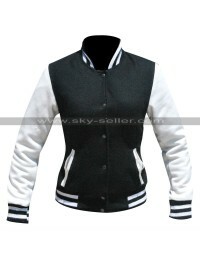 You will look smoking hot in this short and slim fit jacket that is designed to enhance your curves.